1Dissolve yeast in water. In a bowl stir together; salt, erythritol, butter and almond milk. Add in dissolved yeast. 2Mix in 2 cups of flour, adding the last cup slowly as needed until it's all mixed together as dough. Knead the dough. 3Butter the inside of a bowl and roll dough around in it until it forms a ball. Cover and let rise. 4Once the dough has risen, punch the dough down to let it rise again. 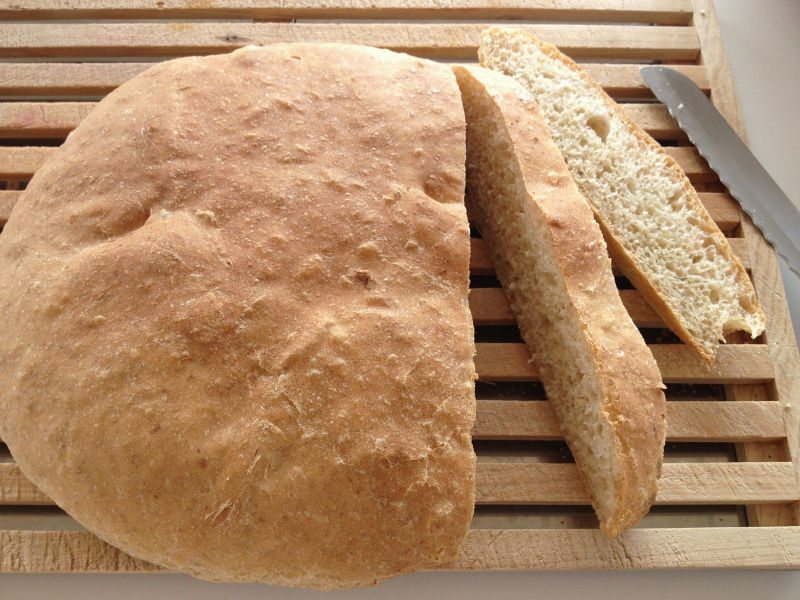 5Form the dough into a loaf shape, and place on baking sheet or in bread pan. Cover and let rise again for an additional 30 minutes. 6Bake at 375 degrees for 45 minutes.